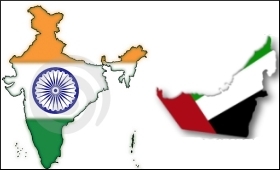 Skill Development and Entrepreneurship (MSDE) Ministry Secretary KP Krishnan on Monday expressed India's commitment to jointly work with the UAE Government and draw a mutually beneficial roadmap to ensure that the workers' skills and qualifications can be assessed, certified and recognized. This partnership which can meet the skill demands of UAE's employers and ensure that Indian workers are paid adequate skill-premium, Krishnan said. Krishnan was addressing the skill mapping conference organised by FICCI, Ministry of Human Resources and Emiratisation (MoHRE), Government of UAE and Ministry of Skill Development and Entrepreneurship (MSDE), Government of India. The event was supported by the Ministry of External Affairs, Government of India. The objective of the conference was to deliberate on the human workforce requirements in the UAE and the support that could be extended by the Government of India. It was attended by a delegation from India, led by Krishnan, and TV Mohandas Pai, Chair, FICCI Skill Development Committee and Chairman, Aaron Capital. Pai in his address, said, "The new global markets driven by industry 4.0 are accelerating the demand for higher order skills within eachoccupation. This requires a robust assessment of migrating skilled workers and mapping of labour market in demand side country to ensure placement of right candidates in the right jobs. Further we need studies on productivity to attracthighly skilled people at the right wages. This will address the issue of stagnant wages, which often leads to flow of inadequately skilled people." Omar Al Nuaimi, Assistant Under-Secretary, Ministry of Human Resources and Emiratisation, said, "This event is a testament to the fact that we have already hit the ground running, following the signing of the Memorandum of Understanding on labour between the governments of India and the UAE earlier this year. As the UAE moves towards a knowledge economy, the demand for skilled labour is going to increase, and we see India as one of the key suppliers for high skilled workers in the future." Navdeep Suri said, "The UAE is one of our largest overseas job markets and it is vital that we match our skills programes with the job market here so that our workers can move up the value chain. Our e-migrate system and minimum reference wages are designed to help our migrant workers get a better life and to ensure that we don't end up exporting poverty."